There was lots of show and tell this meeting. 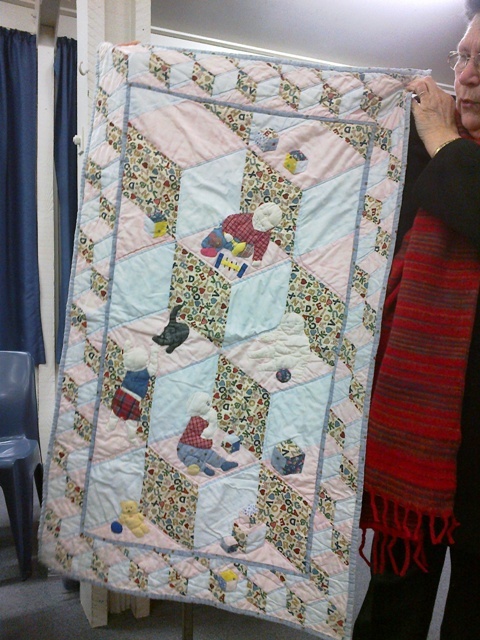 The committees challenge was a baby quilt. Jan showed this 15 year old baby quilt. 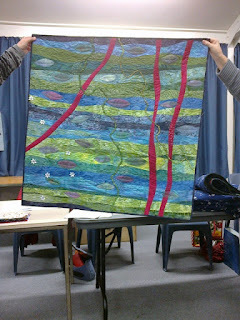 but I do remember that it was only finished on the day. 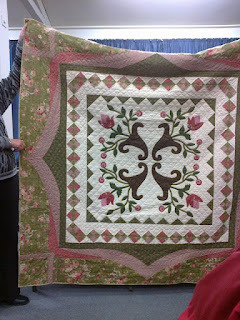 Jennifer helped some ladies put this quilt top together. 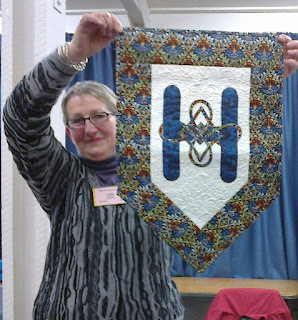 Juliet holding Claire's celtic alphabet from Anna Williams workshop. 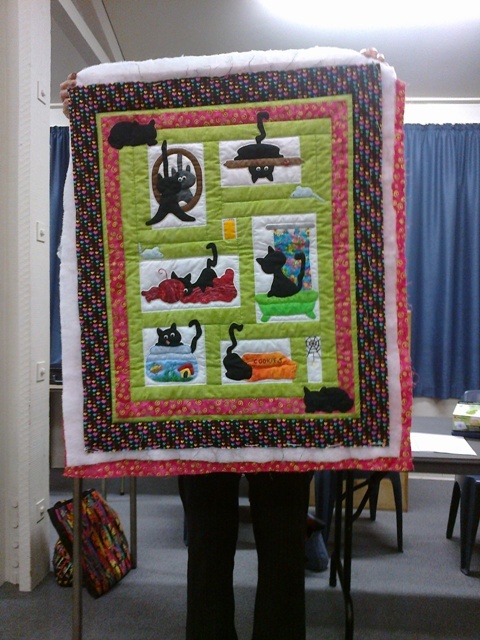 Ann made this lovely cat quilt for a friend's daughter. 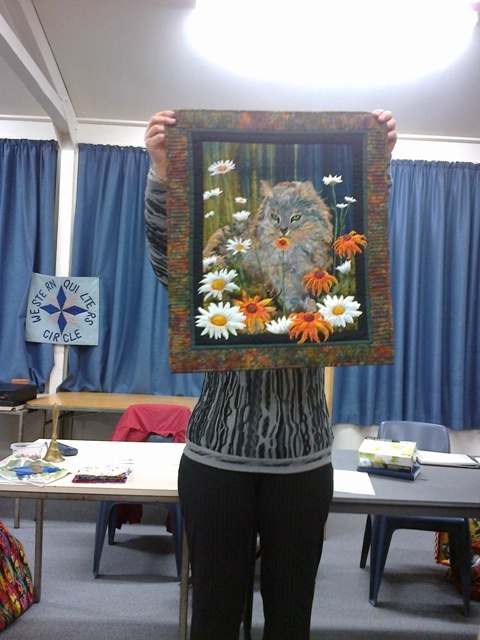 Jules couldn't resist this lovely kitset cat. Dragica made this for a special family friend. 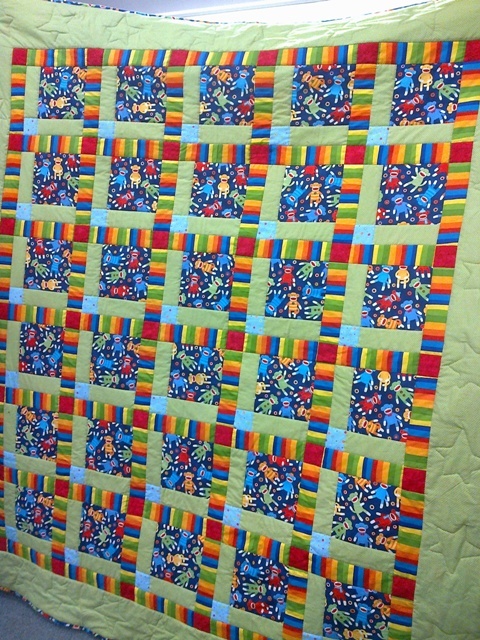 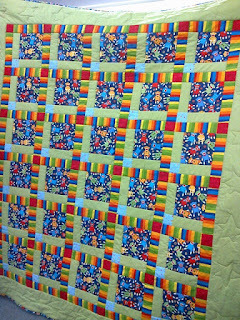 Sue made this orange kaffe quilt for a friend who loves orange. Jean also made this for a friend. Antoinette has completed her scrappy quilt from Natalie Murdoch workshop. 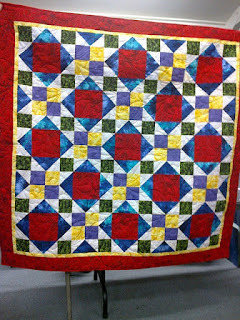 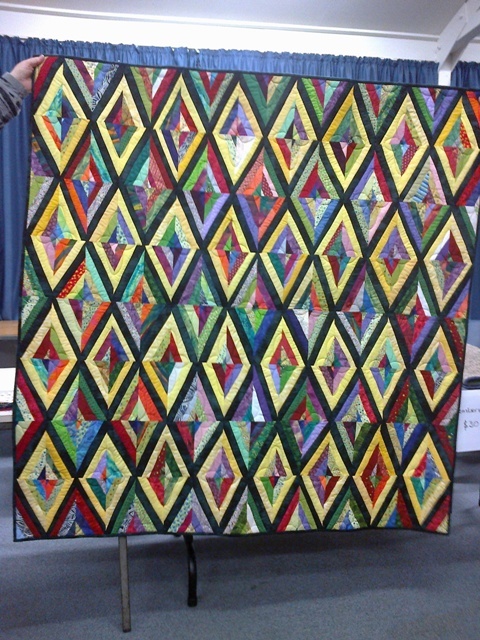 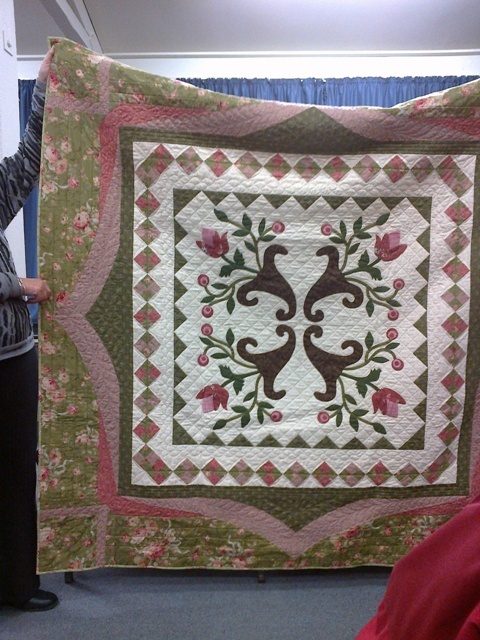 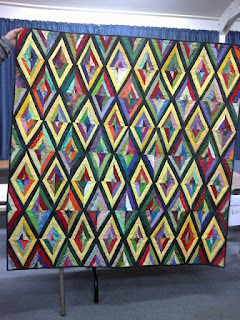 Antoinette also completed her quilt from the Lisa Walton workshop. 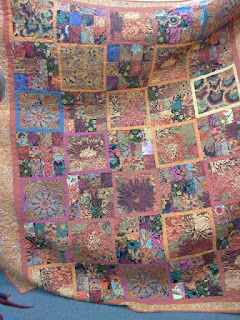 I apologise in advance if any of the information in this post is incorrect. 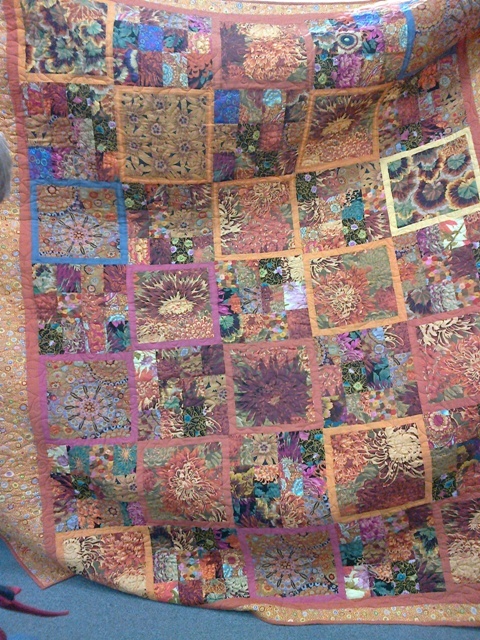 all the details. 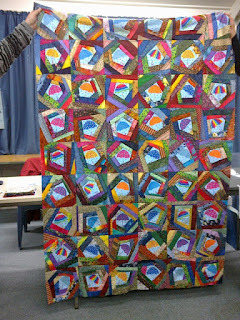 Please feel free to contact me if I have got it wrong.